Blue Cross Blue Shield is a popular provider of dental insurance for patients of Smile Fitness Dental Centers, and we are happy to be in-network with this provider (among many others!). If you and your loved ones are covered by Blue Cross Blue Shield in Phoenix, find out how visiting our office makes using your dental insurance a breeze. Like most dental insurance plans, Blue Cross Blue Shield works on a fee-for-service basis. That means you or your employer pay upfront for your care in the form of a monthly premium. The cost hovers around $50/month for an individual and $150/month for a family of three. In exchange for this amount, you are eligible to receive steep discounts or full coverage on the dental services you need to maintain a clean, healthy smile. Blue Cross Blue Shield dental plans are set on an annual basis, operating on the calendar year. Any unused benefits will not roll over from one year to the next, so visiting a dental team that works with your plan is key for stretching your investment. Preventive care: 100% covered. This includes two checkups and cleanings per year, an annual set of X-rays, and possibly dental sealants and fluoride treatments for children. Restorative care: 80% to 50% covered. 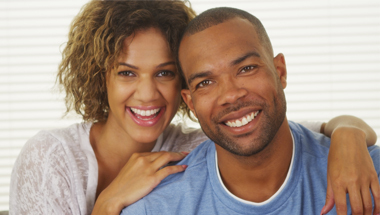 Depending on the complexity of the procedure, dental insurance will cover a portion of the cost of restorative care. Cosmetic dentistry: 0% covered. Blue Cross Blue Shield will usually not cover any of the cost of elective procedures. Visiting an in-network dentist is step #1 in getting the most out of your insurance plan. Smile Fitness Centers has come to an agreement to provide certain treatments at a reduced rate to members of Blue Cross Blue Shield. You may be eligible for the same savings visiting an out-of-network dentist, but you will be expected to pay out of pocket and wait for a reimbursement to come later on. The best way to cash in on dental insurance for the good of your wallet and your oral health is to schedule and attend two checkups and cleanings per year. These visits are 100% covered by dental insurance, and you’ve already paid for them through your monthly premium -- so be sure to take advantage! With routine preventive care, you can help prevent tooth decay and gum disease to prevent the need for restorative dentistry altogether. Don’t wait to visit our office to take advantage of your Blue Cross Blue Shield coverage! 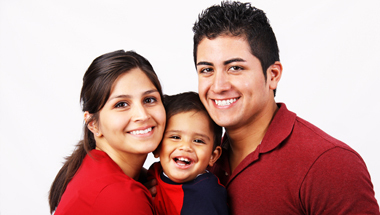 We want to help you and your family enjoy healthier, cleaner smiles this year -- and for many more to come. Go ahead and request an appointment at Smile Fitness Centers today.